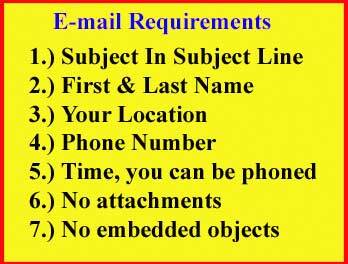 Special order item please allow 4-6 weeks for delivery. Credit cards are not billed until we are able to ship to you. Case Back 145.014 was made two different ways. 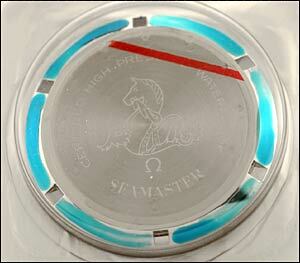 This has Seamaster printed on the outside back of the case. 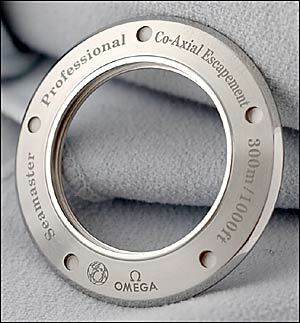 This case back does not come with the special Sapphire Crystal (OME-062SN2065) and Case Back Crystal Gasket (OME-298ZW5522); crystal and gasket will need to be purchased separately. Case 168.1602, 168.1603, 168.1622, 168.1623, 168.1640. Dust cover sits between movement and case back. Case 168.1501, 168.1502, 168.1503, 168.1504, 168.1505, 168.1630, 168.1650, 168.1651, 168.1652, 168.1653, 168.1700, 168.1702, 168.1704, 168.1706, 168.1712, 175.0311, 175.0312, 175.0518, 196.1113, 196.1114, 196.1502, 196.1640, dust cover sits between movement and case back. For the 861 movement. Case numbers 145.0050 and 175.0050. 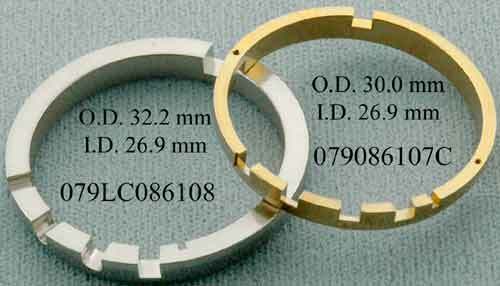 Omega Movement Ring used in Case #396.1070. 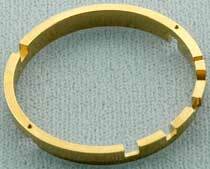 Omega Movement Ring used in Case #591.0234. 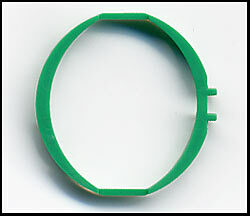 Made of Plastic and green in color. Case number 145.0057, model numbers 3576.50.00 3876.50.31, caliber number 1866. 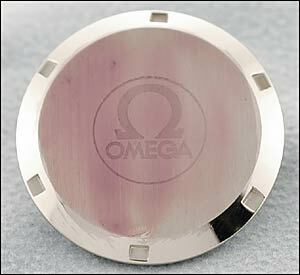 Omega Movement Ring used in Case #166.0071, 166.0072. 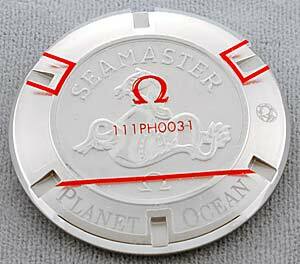 We have been told by Omega that the case backs for these cases are no longer available: 105.003, 105.0003, 135.0003, 166.024, 166.0024, 166.0117, 166.0264, 168.005, 168.0005, 192.0035.